Nothing But Brick: Nothing But Brick's First Giveaway! Greetings, Lego fans! Nothing But Brick will be hosting a small giveaway promo to commemorate the blog's recent milestone of reaching 5,000 views. 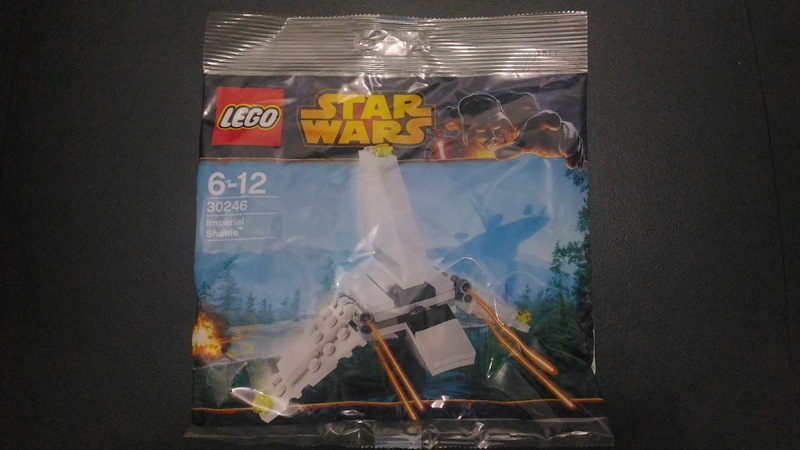 One (1) Lego Star Wars Imperial Shuttle polybag (set # 30246) will be raffled away for this contest. All you have to do is like and share Nothing But Brick's Facebook page at https://www.facebook.com/nothingbutbrick/. Read the mechanics below on how to join. Good luck! 1. To qualify for the raffle, the contestant must have a Facebook account. 2. The contestant must currently reside in the Philippines. a. like Nothing But Brick's Facebook page. If the contestant previously liked the page, then proceed to b.
b. share Nothing But Brick's Facebook page on his/her respective Facebook wall. The shared link must be set to public. 4. The contestant must leave the following details in this post's comment section for validation. Again, the shared link must be set to public so it would be easy validate when I check the contestant's Facebook wall. 5. Only one (1) entry is allowed per contestant. 6. Deadline of submission of entries is until June 30, 2016. There you have it, folks! Just read and follow the simple mechanics and you get a chance to have your own small scale Lego Imperial Shuttle! I would like to take this opportunity to thank everyone who reads and supports the blog. It's just been a little over three months since Nothing But Brick went online and reaching 5,000 hits soon was really a surprise. I still have lots of ideas for the blog so please stay tuned for that. Thanks again, folks! Play well! Hi! Feel free to post your entries below. Provide your full name and the link to your Facebook page with the shared link. Good luck!